While my friend Anna aka @HootnHaller was here last month, we decided to challenge each other to actually make things out of the many quilt books that we both own. I know, what a concept! LOL! I love quilt books and have a hard time not buying them, therefore, I have a lovely collection of quilt books in my studio. Problem is, I haven’t made much out of them. I spend plenty of time reading them and drooling over the pictures of beautiful projects, but I haven’t taken the time to make many of them. 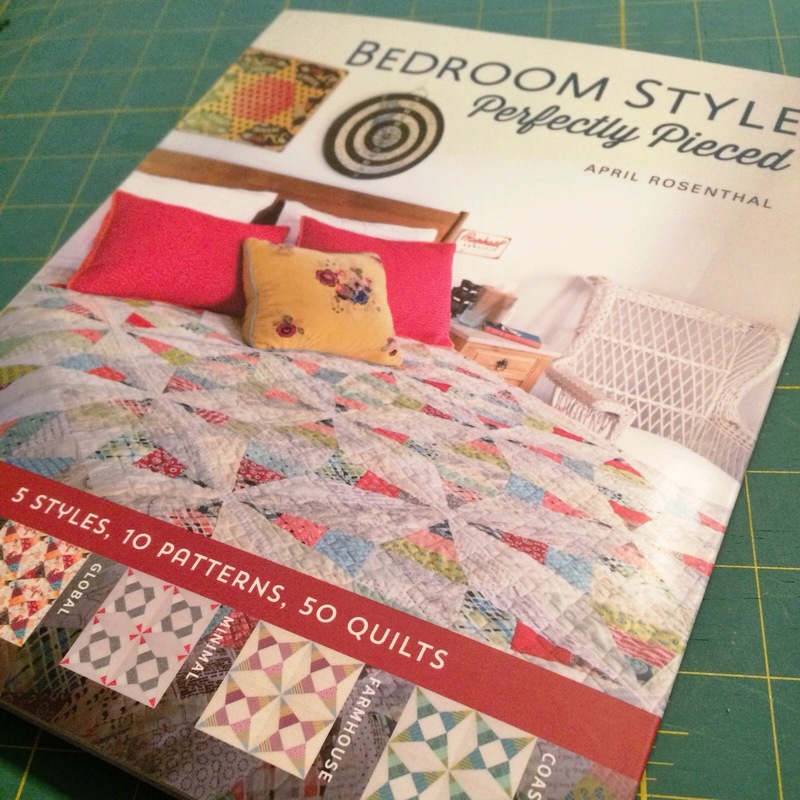 I decided to make a quilt out of April Rosenthal’s book, “Bedroom Style, Perfectly Pieced”. It’s one of the wonderful titles that has been published by LUCKY SPOOL and has a cool theme. “5 styles, 10 patterns, 50 quilts.” April has designed ten fun and beautiful quilts that range in skill level from fairly easy patchwork to approachable, yet challenging paper piecing. April has then taken the book a step further by showing how different decorating styles can completely change the look of these ten quilts. She even has a fun “Style Quiz” for the reader to take to narrow down what their home dec style is. (Like April states in the beginning of her book, she loves personality quizzes on Facebook and so do I, so this was really fun.) According to the quiz my style is “Farmhouse” style. I chose to make the second quilt in the book, “Breaking Tide”. I have surprised myself by picking this one because it is simple and easy to put together, consisting of 12.5″ quarter square triangles. I always feel like I have to make things that are a bit challenging or complicated with lots of pieces creating one block. Once I started making the forty-nine blocks I sure was glad the construction was so fun and simple. Of course I started over thinking fabric combinations. 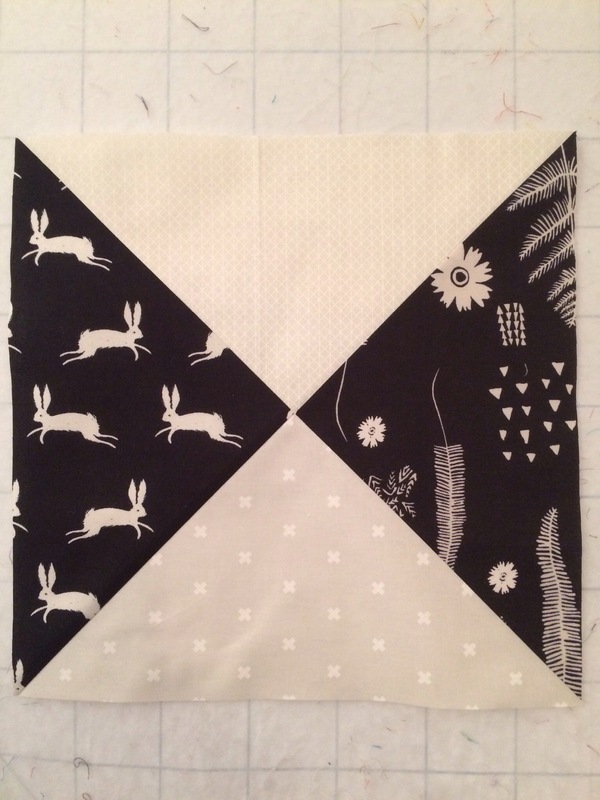 I chose to make this quilt out of Cotton + Steel fabrics only. I have a great selection of C+S fabrics I have been collecting for a little while now, including cuts of all twelve prints in their Black & White line. When things started to feel hard as I was creating fabric combos, I stepped back and decided to stop what I usually do, and let the fabrics speak for themselves. I ended up using a lot of fabrics with animals on them. 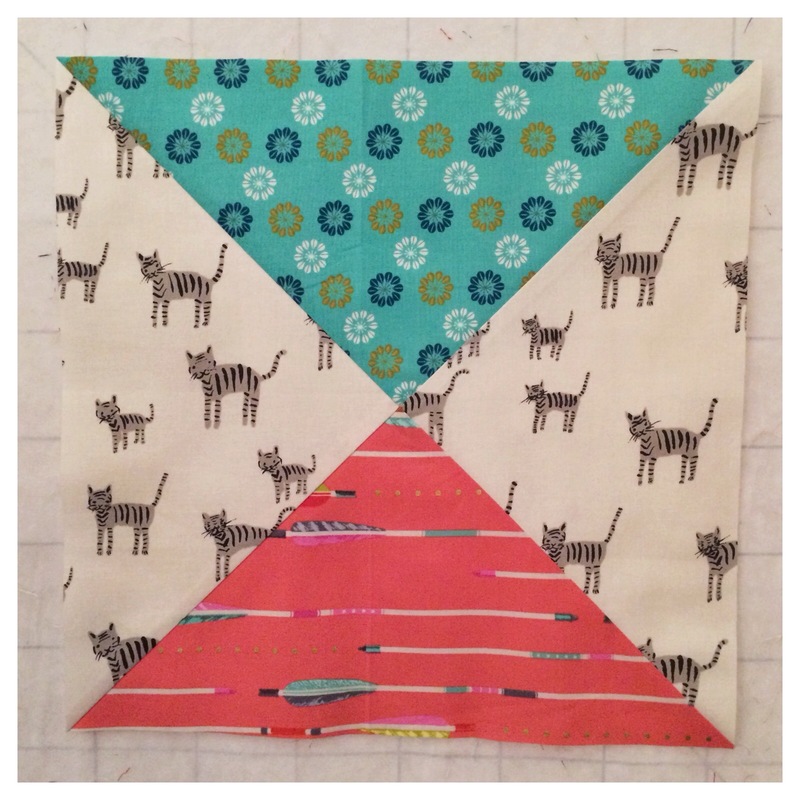 It turned out to be the way to go because this quilt is for Hubby and me and he really loved all the animals when I showed him the final layout of blocks. I still have to sew all the blocks into rows, then all the rows together and then put the border on but I am really loving how it’s turning out. April’s instructions are well written and the measurements are accurate, providing plenty of squaring up room. 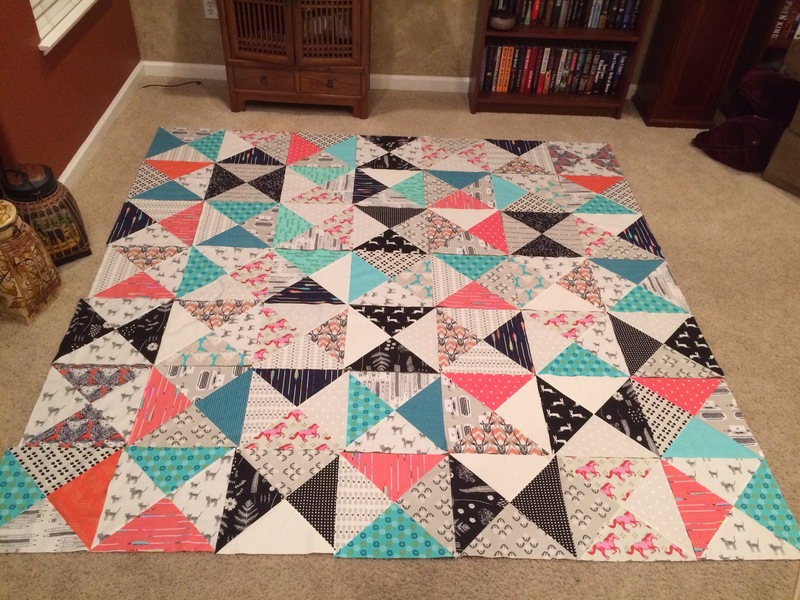 I look forward to making more quilts out of “Bedroom Style, Perfectly Pieced”. Previous Post Never Say Never!